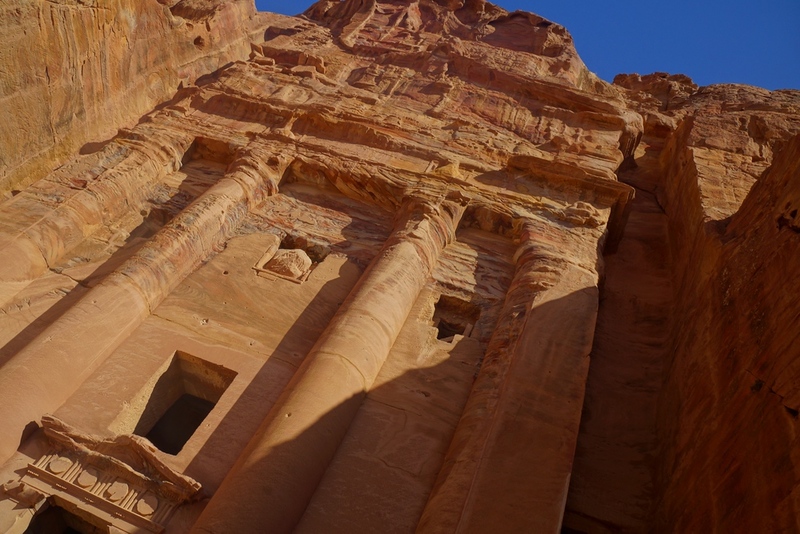 Once called the ‘rose red city’ this ancient Nabataean city in the southern region of Jordan is home to the most famous tourist attraction (Petra) in all of Jordan. The former capital of the Nabataean kingdom from the 6th century BC thrived until it was conquered by the Roman Empire in AD 106. 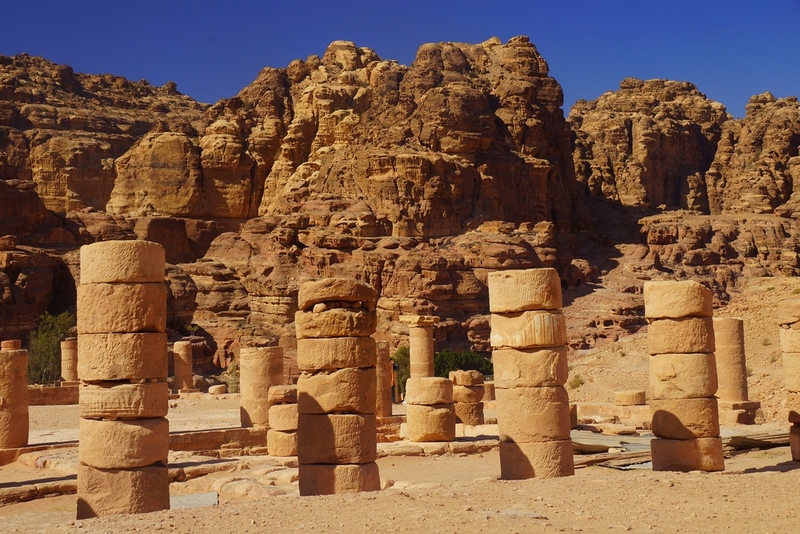 As a thriving center for commerce and trade, Petra flourished until a fateful earthquake devastated the cities infrastructure in AD 663. 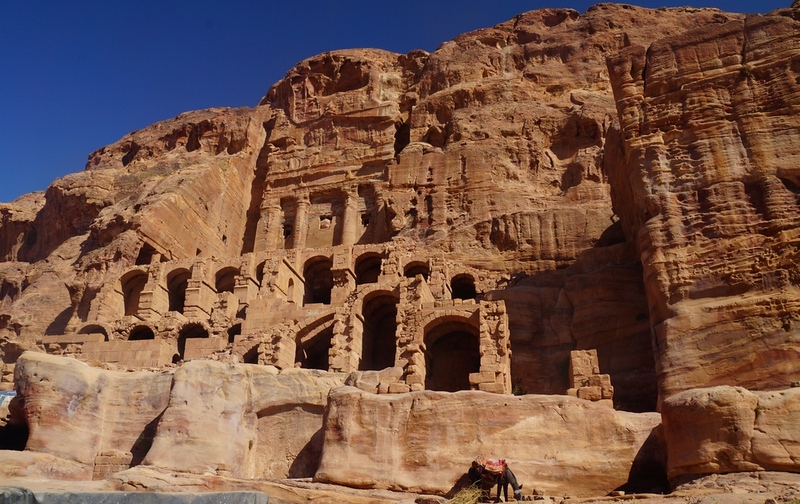 Saladin’s conquest of the Middle East in 1189, rendered Petra abandoned with its memory lost to the west and east for centuries. In fact, it wasn’t until the daring Swiss explorer Johann Ludwig Burckhardt, disguised as an Arab scholar, infiltrated the – at the time – Bedouin inhabited city that it was put back on the world map. 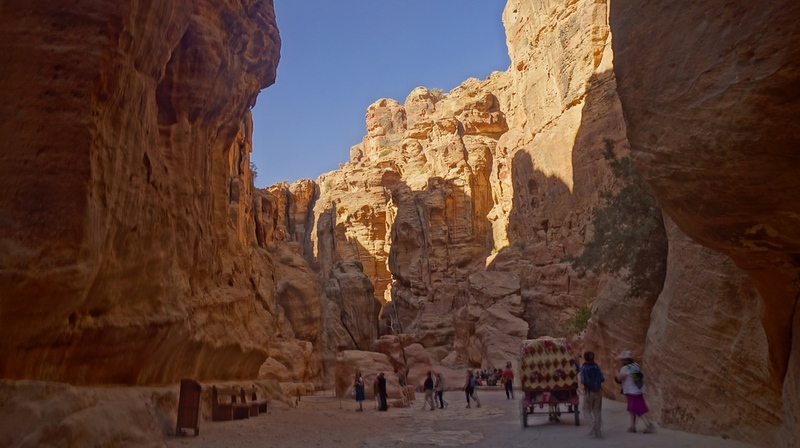 After numerous excavation efforts Petra is now Jordan’s principle tourist attraction since 1929. It’s well known in popular culture as the site where Indian Jones and the Last Crusade was filmed and recently in 2007 it was named one of the New Seven Wonders of the world. A distinction, that in my opinion, was rather tardy. 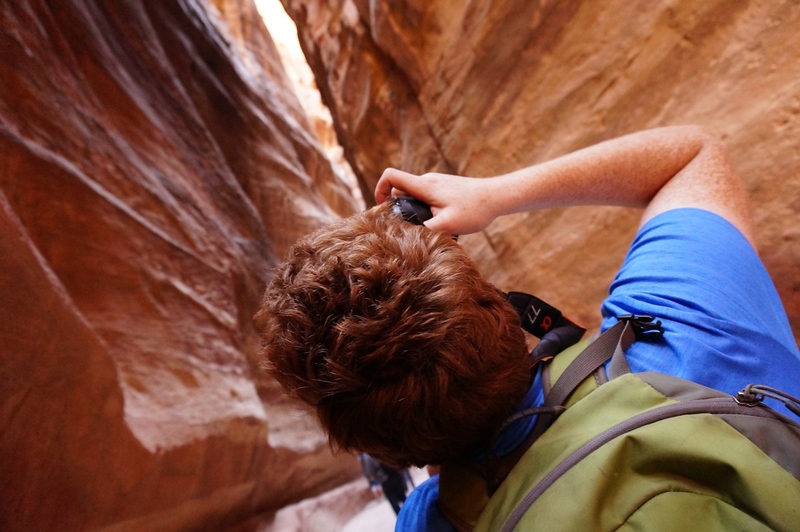 As a travel photographer, visiting Petra, Jordan is like a boy realizing a childhood dream of visiting a fantasy land. It was hard to put my camera down; however, I did manage to spend plenty of time taking in Petra with my own two eyes and not just behind the lens. The moment I realized the treasury was mere meters in front of me is one of the most distinct memories I have from Petra, Jordan. 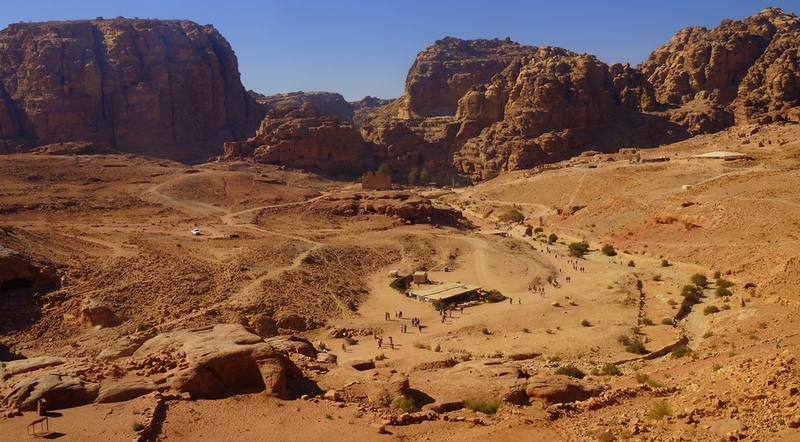 Another top moment was hiking the monastery in Petra. This is the iconic image from Petra, Jordan – a wide angle perspective shot of the treasury. 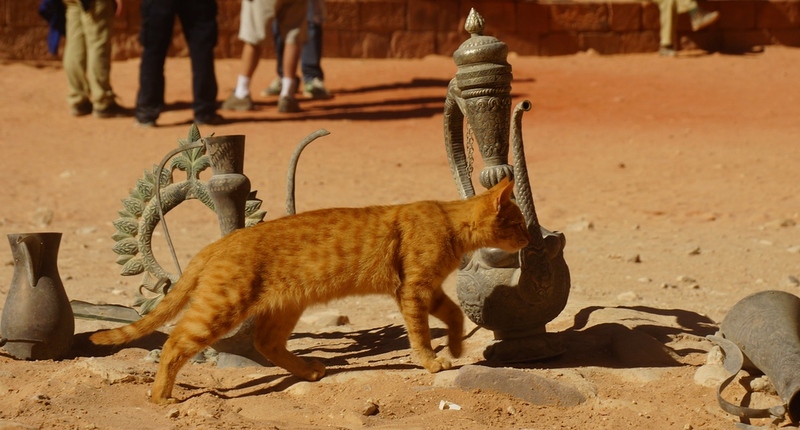 You won’t have this place to yourself though as hoards of tourists, camels and even cats all compete for space. 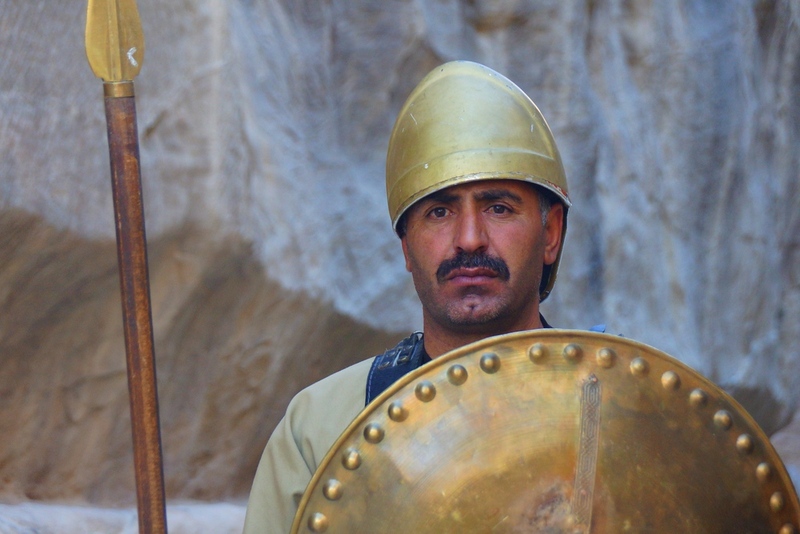 I’ve seen this man many times in photo galleries from other friends who have been to Petra. It was almost surreal getting to take his photo. A final shot I took (and edited in sepia) just before sunset. I often had to remind myself to turn around and look back. Petra is so grand and massive that you forget sometimes to check your surroundings from the rear. 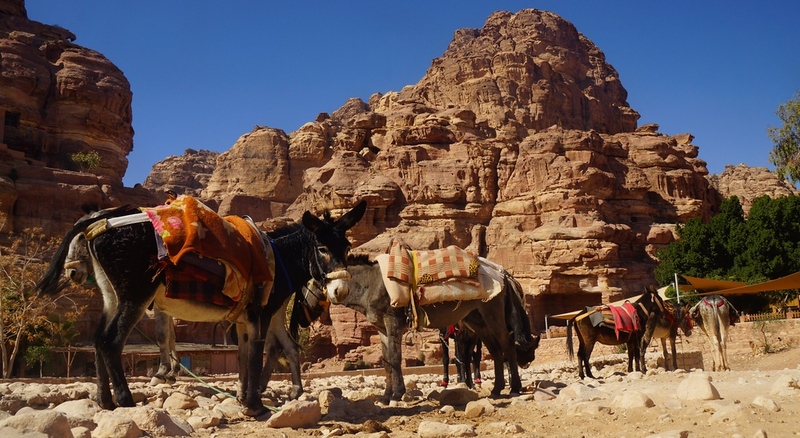 There were no shortage of animal powered transportation options; however, mule certainly seemed less attractive of an option than going by camel or horseback. No photo essay of mine would be complete with an obligatory shot of a roaming cat. This one was slinking around some trinkets being sold outside of a small shop. The architecture and especially the intricate carvings boggled my mind. At this point in the day we were exhausted from all of the walking we had done. Worse yet was that the heat was really getting to us; however, we didn’t want to miss out on climbing the steps to get a closer look. HDR photography came in handy every once in a while given the contrast between the harsh shadows and bright highlights. 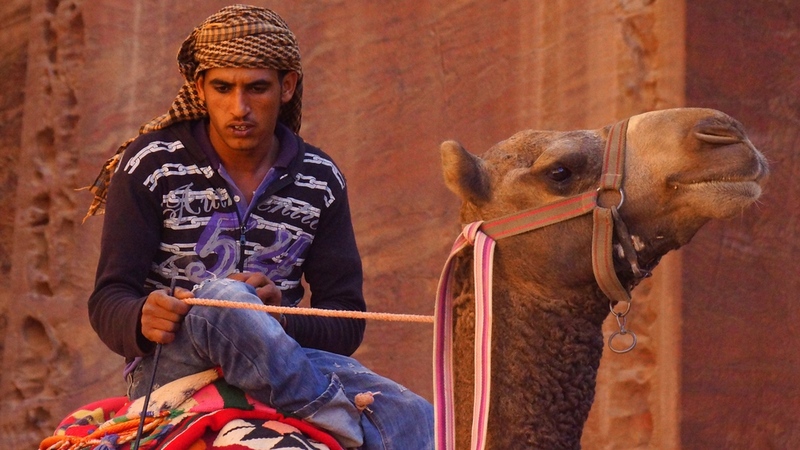 Fancy a camel ride? A few days later we rode camels from our Bedouin camp grounds to the area where we’d eventually have breakfast. Camels = 1, Sam and Audrey = 0 To say these lumbering beasts tenderized us would be quite the understatement. The rewards of climbing steps were that we had a great vantage point view over Petra. On the right you’ll notice many trinkets for sale. 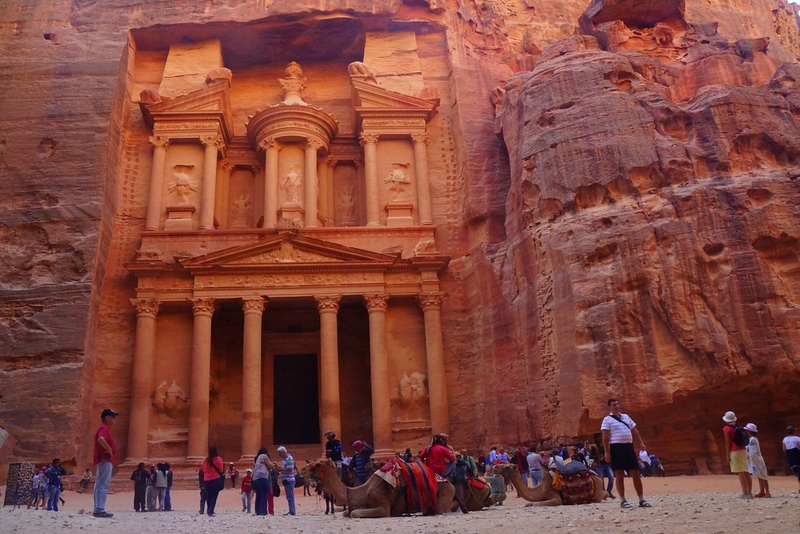 Aside from Angkor Wat and Machu Picchu, I’ve never visited an archaeological site that lived up to its hype and impressed me as much as Petra, Jordan. I only wish I had more time to explore its vast expanse. 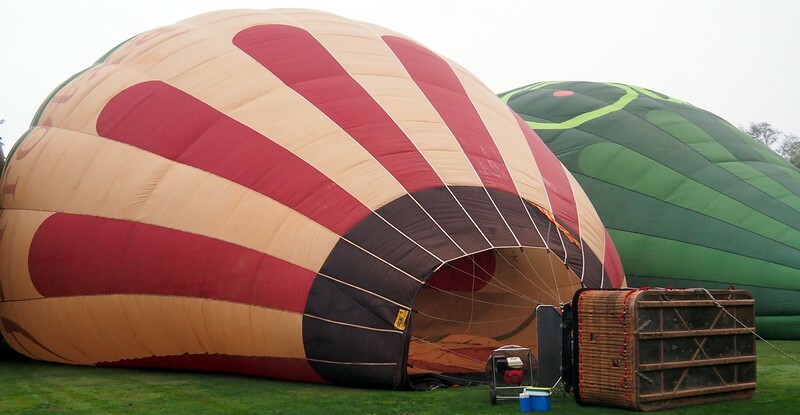 As a travel photography tip, don’t forget to look up at your surroundings. 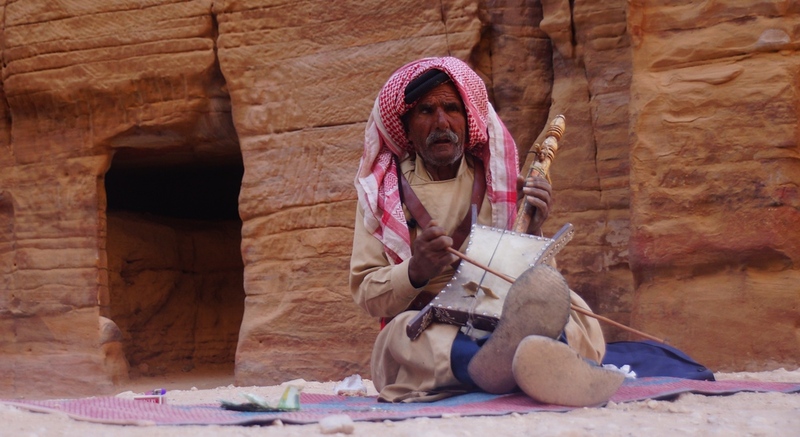 This Bedouin man was waiting on his camel for a tourist to come along an accept his offer for a ride. In order to get a sense of the sheer size of these grounds, I’ve used people in the background as a scale. 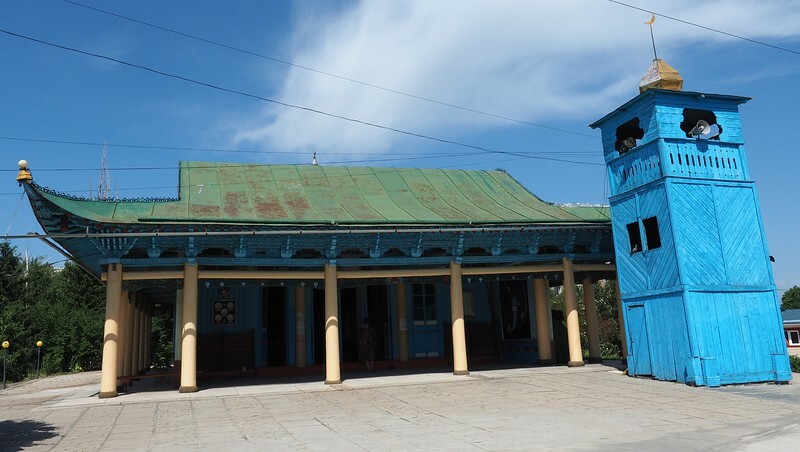 With more time I would have liked to have had the opportunity to explore more of the frontier areas of the city; however, with just half a day I think I made the most of my time here. 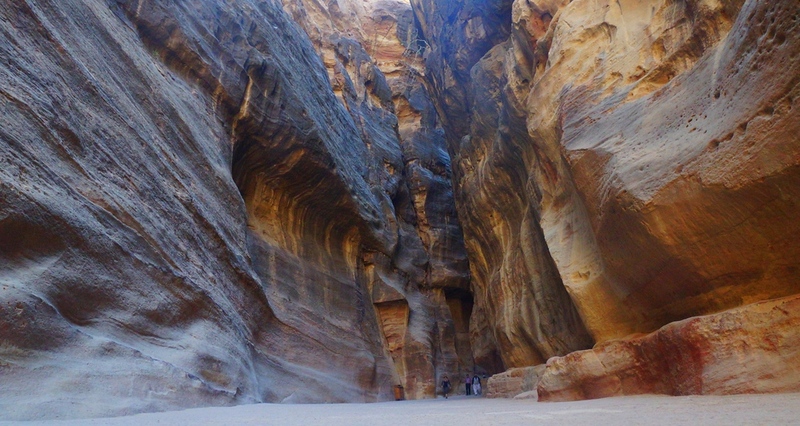 For this trip we partnered with My Jordan Journey. Wow Lovely photos…. 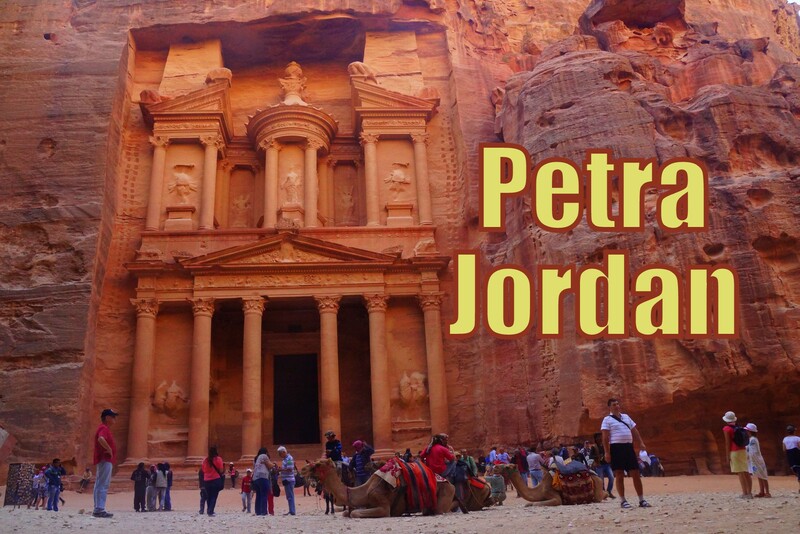 Jordan is the most famous attractive place for tourist…Really go for Jordan (Petra).. Stunning photos! It looks like it was an incredible visit, and the “marriage” was a cute touch! Thanks for sharing your trip! Funny mock marriage story! And what a wonderful site. Your photos capture it well! Such wonderful pictures. My favourite has to be of the sun coming up behind the rocks/wall. Brilliantly captured. When we went to Petra, it was a half day trip. I really wanted to stay overnight to capture the place at night. There are just way too many people during the day, don’t you think ? (from a photography point of view). 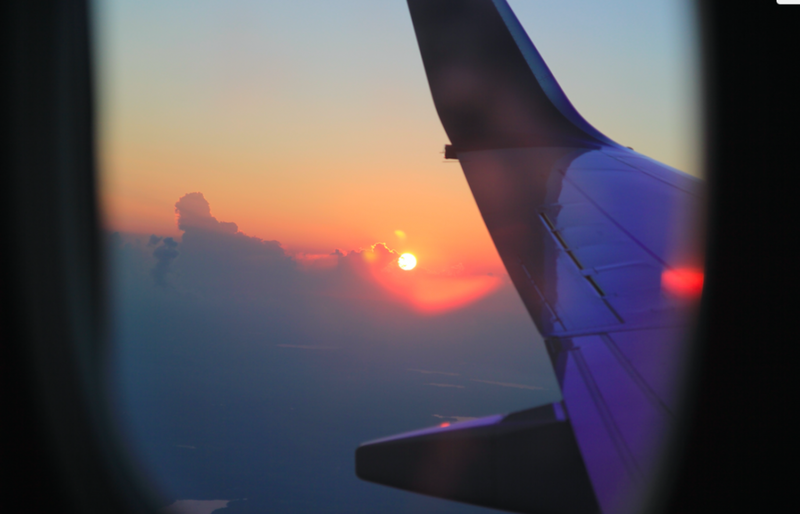 Indeed, early in the morning and late at night would be the best times to go. Apparently at night there is hardly anyone! 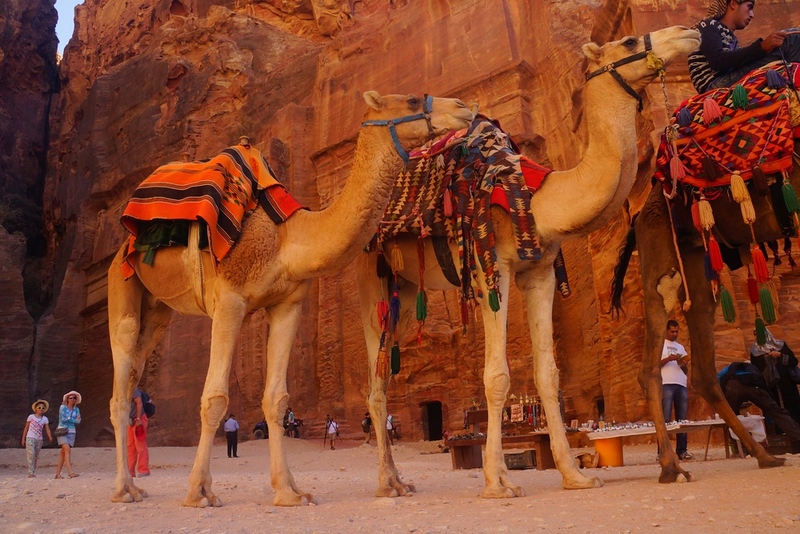 BTW, weddings and all…My mother was offered 150 camels by a jordanian in Petra if she agreed to give me to him. Yeap. Beautiful photographs, Samuel! 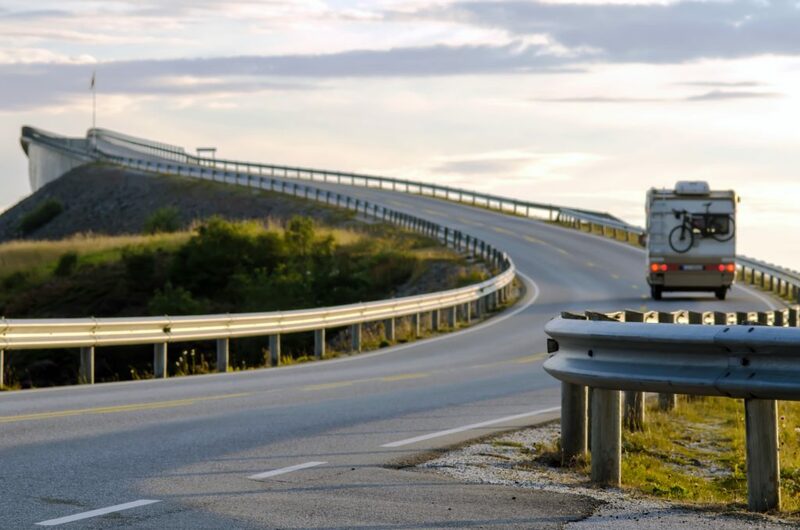 I’m newer to your site and have very much enjoyed all your stories and photos. I’ll be taking a leap of faith and quitting my job and starting my own adventure soon of teaching English in Spain. Reading your site has removed any hesitation or worries I’ve had. Thank you! Love these pictures! You really have a talent. Thank you for sharing your experience. What a magical place. 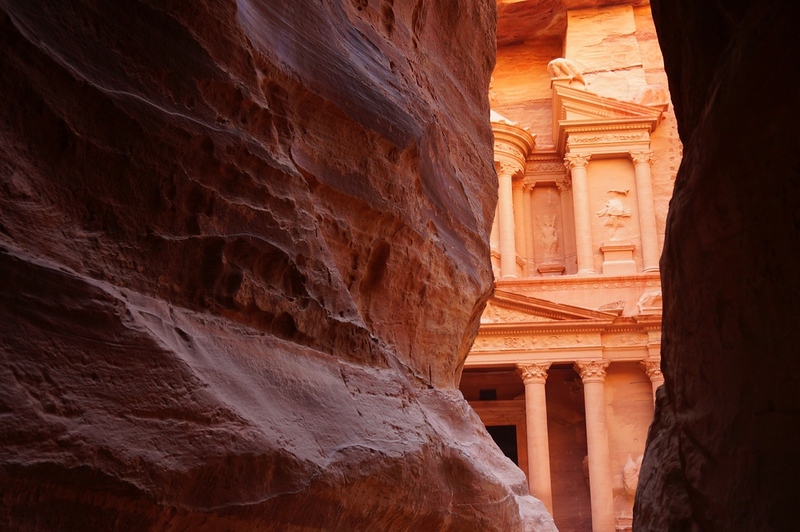 How long do you recommend visiting Petra and the surrounding areas? Stunning photography and I loved the video as well. Congratulations on your wedding, what a spectacular way to start your married lives together! Have to save a lot for this! I think I’ll love Petra more than Angkor Wat! I honestly think I like Petra more than Angkor Wat having been to both. Looks like you guys had a wicked time! Great shots Sam! My wife and I went to Jordan in April last year and loved it. The views from the Monastery were epic too! That’s cool! I’m guessing it was a lot warmer during that time of year! Petra is on my travel wishlist for this year. Your photos and words are beautiful. Makes me more excited! Petra, Jordan is always been my dream place to visit. The carved structure is so surreal and fantastic which makes me think at first that it is not true. 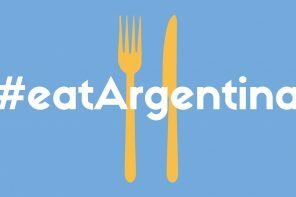 Such a great place! I have to agree with you Jorja. I couldn’t believe how detailed and intricate the carvings were. I can only imagine how it must have been before it became ruins. Wow, the angle on your first photo just allowed me to get a glimpse of your excitement, almost like I was right there next to you. From the architecture to the people, it is just all very beautiful in every way. Coming around that corner is something I’ll never forget. I really hope I get a chance to return again someday. 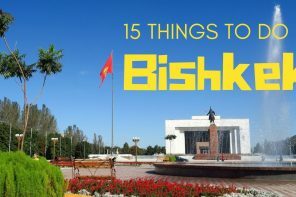 And another place added to my travel bucket list! 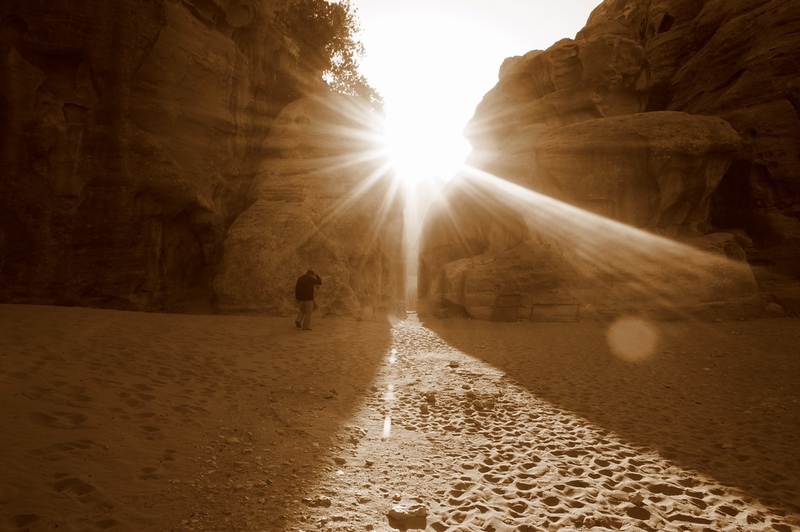 Gorgeous photos, Petra looks breathtaking. I especially love the second shot, the peekaboo view through the rocks. Amazing photos!! Would love to visit one day…looks surreal. Congratulations! It is a surreal kind of place! 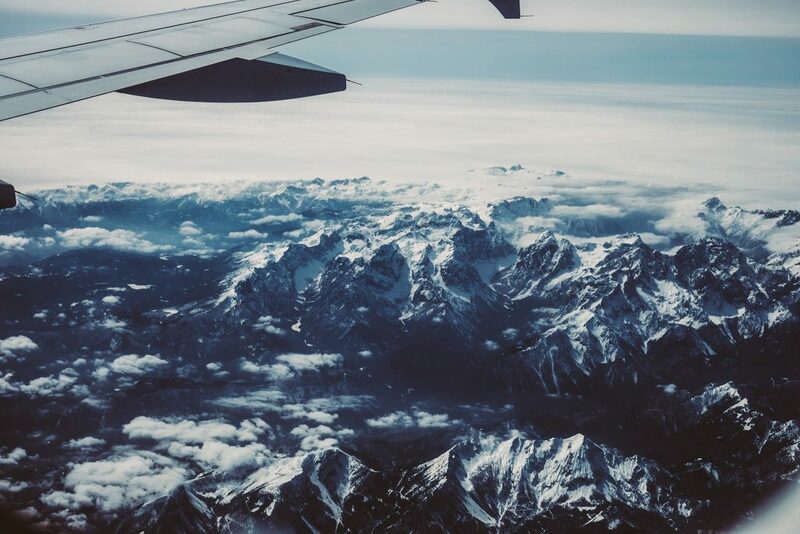 Hope you can go there soon! Wow! What an experience it must have been. Things often look less impressive on photos than they really are, but each one of these speak tales of majestic architecture and scenery that’s leaving me speechless. Great photo essay man! Amazing photos! congrats :)) great memories of Petra, hope to go back one day :)) Happy Holidays! It sure is an amazing place. Happy New Year! Love the colors- Petra is high on my list!! 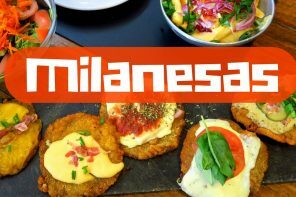 Orgasmical photos! 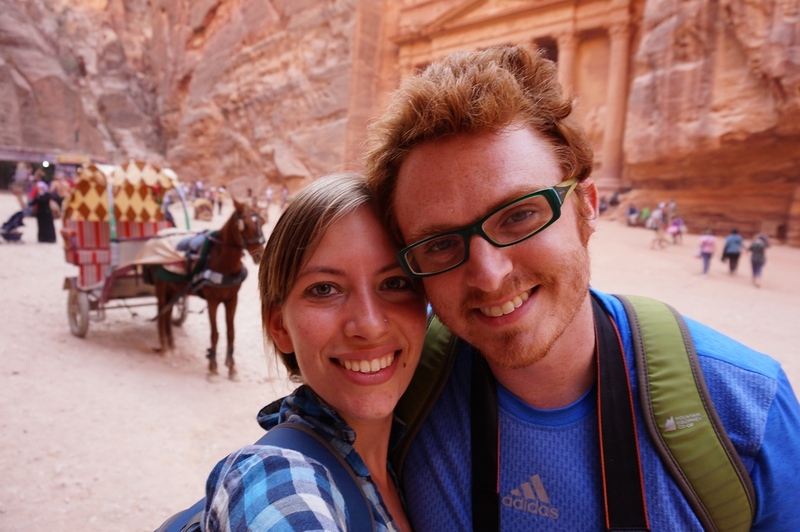 Exploring Petra last year is one of my all-time travel highlights – don’t you think walking through the Siq to the Treasury is the perfect way to built a sense of anticipation?? I agree with you! It’s such a magical place. I really want to return again soon. I enjoyed the perspectives you used here, especially the one looking up at the camels. What an amazing place! You’re right it is truly exhausting the place is huge, god I wish now I spent more time trying to capture better pics. These completely put them to shame lol Pic number 3 is fantastic, Good job and congratulations! I was really lucky to have good weather on the day that I went. I hope you’ll get a chance to revisit again soon! As usual your photos are amazing! I have also enjoyed very much the video on Petra and the CATS… OMG! The CATS! LOL! Oh wow the colours and contrast in these shots are stunning. I’ve clearly been missing out on your photo blog for too long! Thanks for reminding me how great Petra is. I want to go back to Jordan and visit more places. I have to admit the lovey dovey shot is MY FAVORITE! Glad to see you enjoying yourselves! Wow!! Truly impressive. All amazing pictures and what a fantastic vdo too; the meow meow song made me laugh! I’ really want to visit Jordan even more now 🙂 Enjoyed your post! I get a bit nutty when I’m around cats 😉 I definitely recommend visiting Jordan soon if you get the chance! I very much enjoyed your post. I have been fascinated with Petra for years. 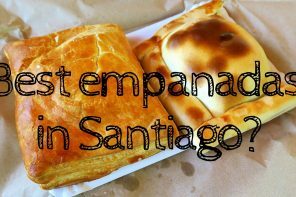 It is on our list of must see places. We have traveled with our family to 16 countries in the last year, but have not made it there yet. Do you think that a 7 year old would be able to handle it? I think it’s a destination that is accommodating enough for kids. 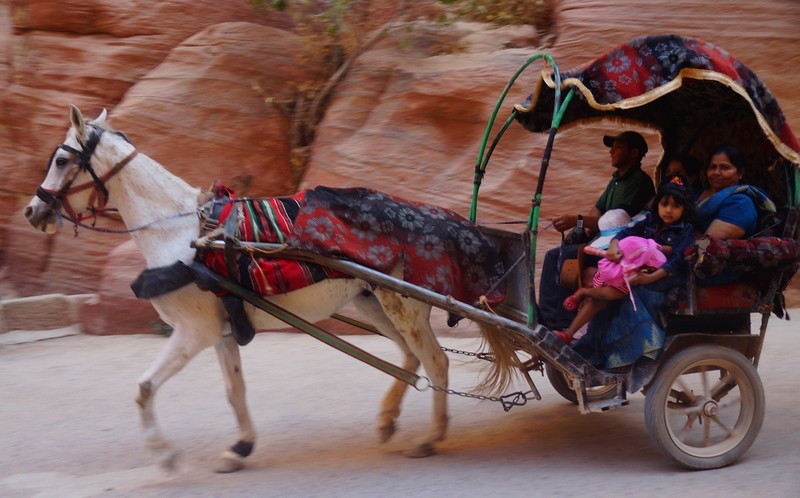 I can imagine children would love visiting Petra and also camping out with the Bedouins in the desert. Love Petra! Its on the “one day” list! Great photos. That was an awesome post. God how awesome, I really want to go! Beautiful and personal angles on a much-photographed subject. Wow wow wow, the architecture is just spectacular!!! And the orange colour is something that would make me walking there with open mouth the whole time. Sam you’re right on the money with your comment that time in Jordan is like realizing a childhood dream of visiting a fantasy land. At least, from your photos it certainly looks that way. I think my favorite shot here is the one at the top of the climb where you can see the whole landscape.